Jennifer Currence is a passionate HR Guru committed to developing the next generation of Gurus and helping businesses create a high performing workplace. 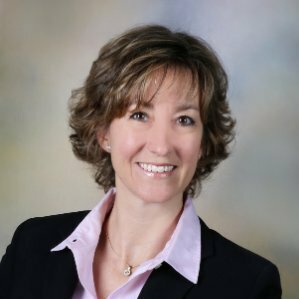 Jennifer is CEO of OnCore Management Solutions and the past Project Editor for SHRM’s 2016 Learning System. A featured speaker at the past two SHRM National Conferences, Jennifer has just completed her first book of an eight book series, Making an Impact in Small Businesses in HR, which SHRM is publishing. Aside from her heavy involvement with SHRM, Jennifer also teaches HR and Management classes at the University of Tampa. Unlike professors that teach strictly from the textbooks, Jennifer goes above and beyond by engaging her students with real-life examples and regularly bringing in outside speakers to share their experiences with the soon to be graduates. Jennifer’s devotion to her students is evident in her work, as she continues to shape the minds of our future leaders. Jennifer has a lot of advice to offer HR Gurus, but the most important piece she can lend is to never stop learning. In a rapidly changing environment, there are always going to be new laws, new information, new advancements, and new ways of completing tasks. Never give up on learning and don’t be afraid to work in cross-functional teams, join professional associations, or ask questions to help yourself become the most effective HR leader possible. Click here to connect with Jennifer on LinkedIn.